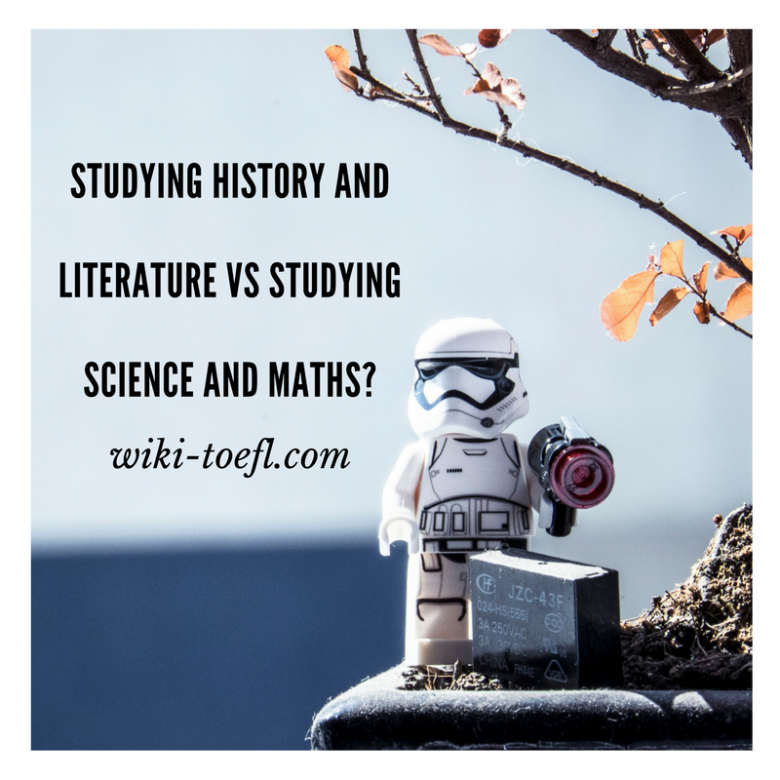 Toefl writing: Studying history and literature vs Studying science and maths? Home Writing	Toefl writing: Studying history and literature vs Studying science and maths? Do you agree or disagree with the following statement? It is more important for students to study history and literature than it is for them to study science and mathematics. I think it’s more important for students to study history and literature. these subjects help us understand the human race and feed our spirits and our imaginations. That’s more important than understanding how to split the atom or do algebra. Do you prefer working for a large company or working for a small company? Do you think a company should use money to support the arts or protect environment? People talk about a crisis of spirit in our country. They mean we’ve forgotten how to believe in and understand our own better natures. I think part of this is because we’ve become too excited about facts and not enough about things we can’t see and measure. Reading books from our own culture helps us understand our roots. Reading books from other cultures helps us understand the way other people think and react to situations. It also teaches us that we’re not so very different from others, and that leads to better relations between cultures. Reading literature also feeds our spirits. Even when the material we’re reading is about terrible sadness and hardship, it still brings us in touch with our inner selves. It makes us think about issues other than new car we want to drive or how much money we’re making. Studying history gives us more information than just who died when or who won which war. It tell us about how human beings have related to each other at different periods in our development. It gives us the big picture. So often, when international crises occur, we only see the problem of the moment. We have no idea how something that happened twenty years ago was the beginning of this current problem. Without that information, we can have only a shallow understanding of ? going on in the world. Both history and literature are necessary subjects for students to prepare for more than just careers. These subjects prepare students for the way they want to live their lives. Do you think people should read books about real events, real people, and facts?